Modular wall lighting fitting with direct and indirect light emission. Thanks to its versatility it is possible to join several modules to realize a long line. 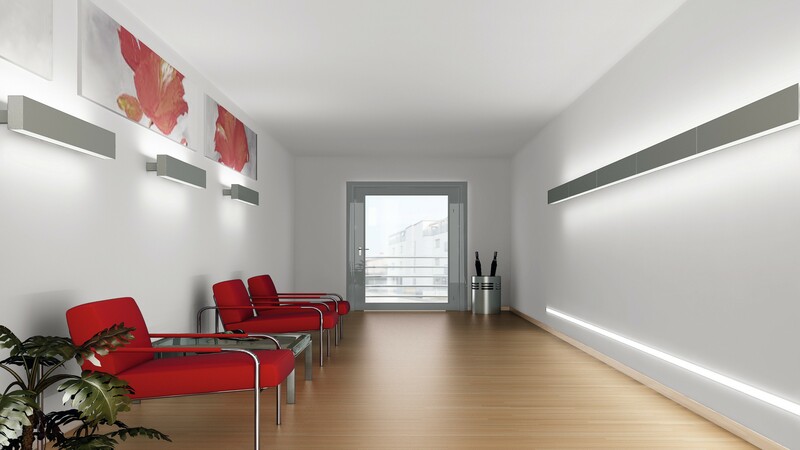 It offers a diffusing and confortable lighting atmosphere for corridors and waiting rooms. 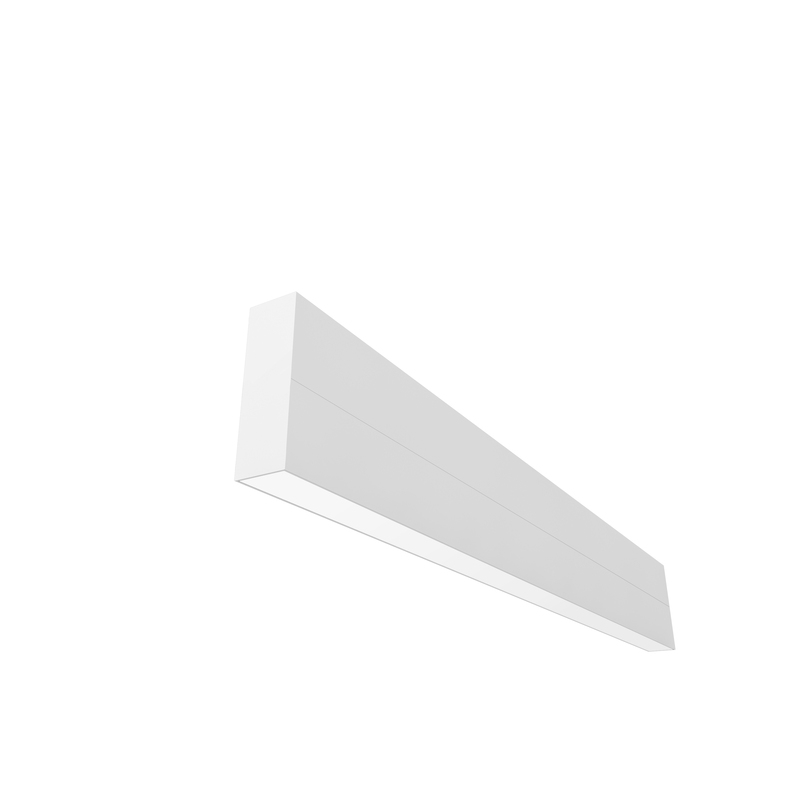 Extruded aluminium profile body painted in white or grey (special finishing DRY).